This offer can not be combined with any other promotional offer unless otherwise specified, and is subject to change without notice. Some cabinet doors and items are too large to ship via UPS, FedEx, OnTrac and XPO Logistics and in these instances, other freight charges may apply. 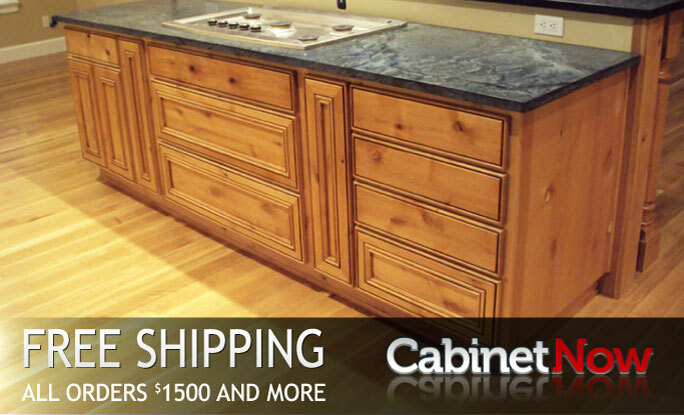 This offer is limited, and a variety of circumstances can void the offer of free shipping (including but not limited to cabinet door size, special packaging, express shipping, sale priced doors) at the sole discretion of CabinetNow.com. If you have a question about any of our products, customer service, or shipping, please contact us. We can answer any questions you may have. ** If your order contains over sized items, this order may not qualify for the free shipping option or may incur special handling fees. ** If you are in Alaska or Hawaii, your order does not qualify for Free Shipping. Please contact us to get a personalized order quote.